Figure review time! Early this week. 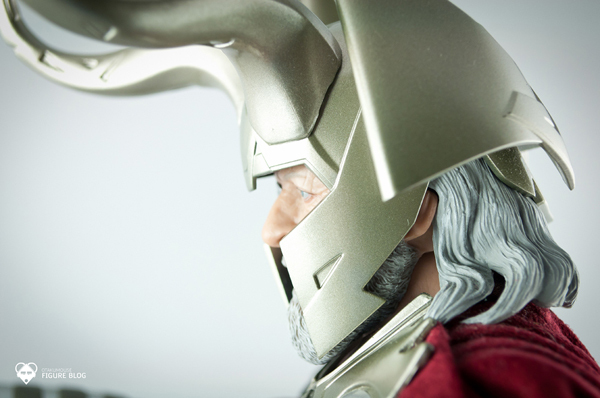 I’ve posted some teaser test shots of my next figure review of another magnificent Hot Toys figure. 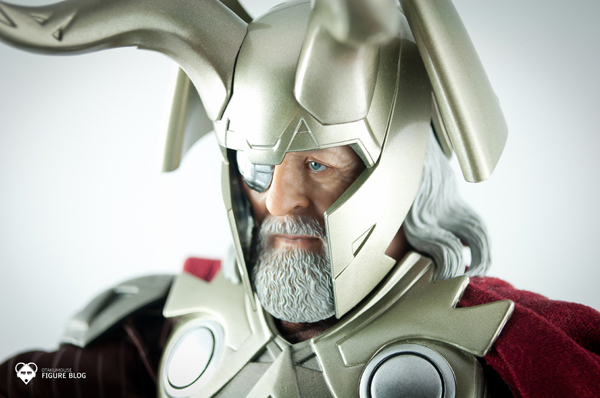 After reviewing Thor last time, we are now going to take a look at his almighty father, Odin which was based on the image of one of the best actors around, Anthony Hopkins. My original plan was to only get the Thor figure. But when I saw some images of this particular figure all over the internet, It made me decide to get one. 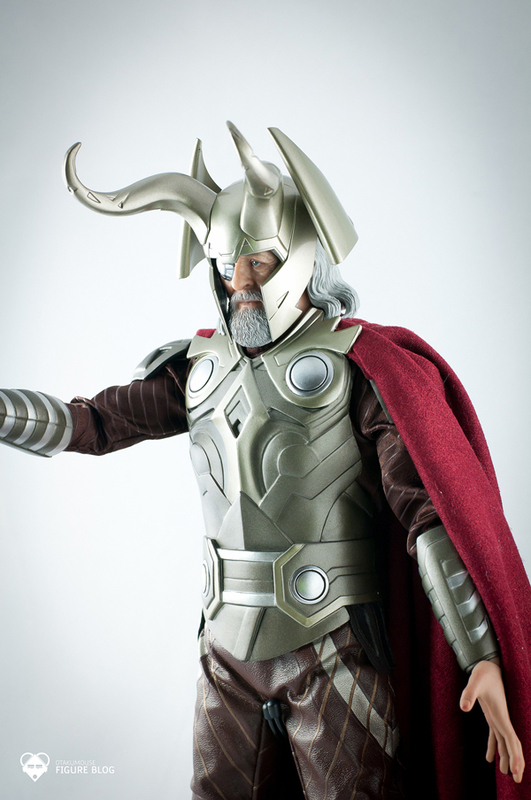 Believe it or not, one of the factors that made me by this figure was Odin’s helmet! and the very very spot on head sculpt of Anthony Hopkins. As with other recent Hot Toys figures. The quality of this figure is top notch. The sculpt, the outfit, everything was created perfectly. 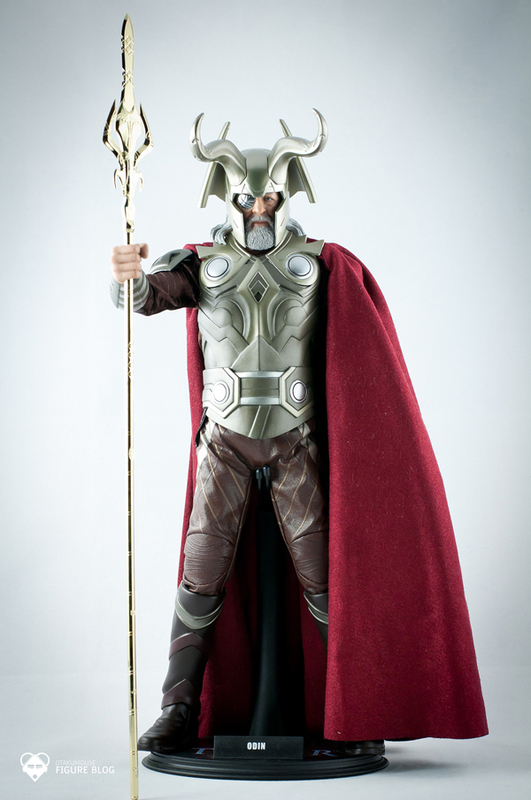 My biggest disappointment about this figure was I though his staff was made out of metal just like Thor’s Mjolnir. Unfortunately, It was made out of shiny plastic which is a shame. Enough talking and let’s take a look at the actual figure! The figure was very well sculpted. 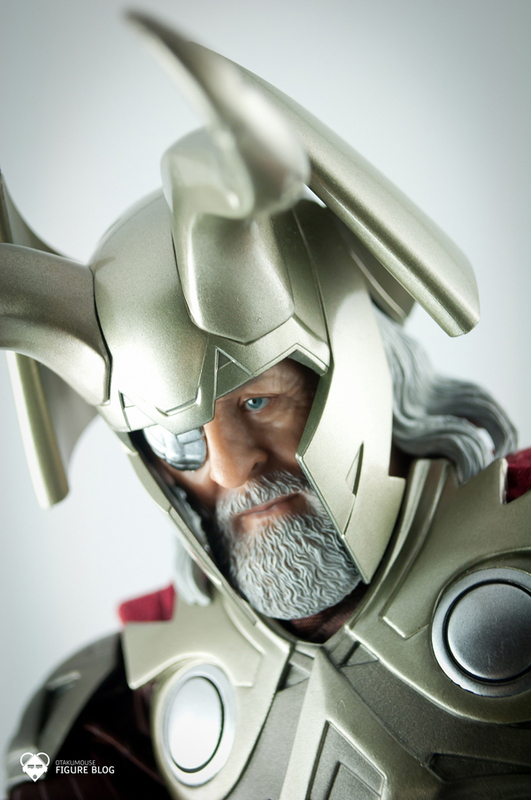 That serious look on the figure’s face illustrates that Odin is a superior being and a King. Figure posture and build closely matches the character in the film. 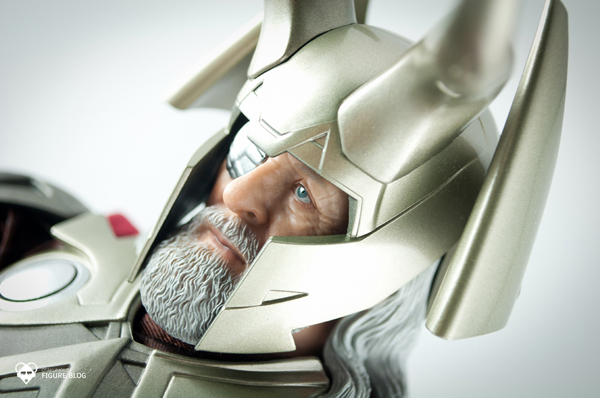 Odin was an old king and you can very well see it in the actual figure. The figure looks really cool in all angles. 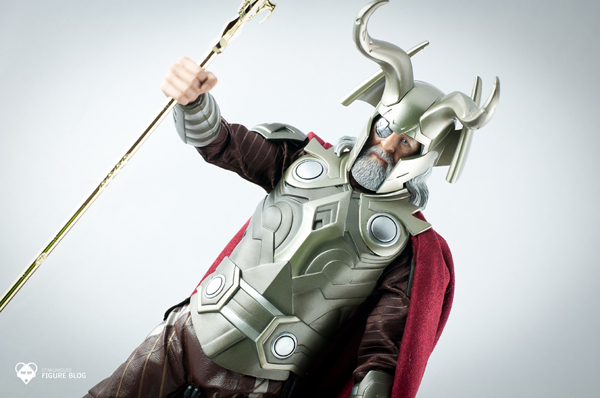 Odin’s outfit was recreated perfectly in this figure. Like what I’ve mentioned earlier. 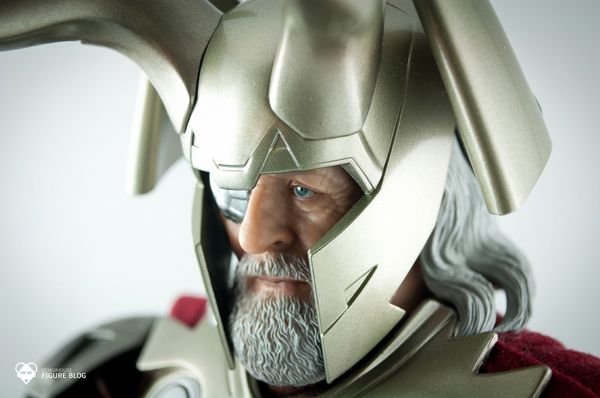 One of the things that made me decide to get this figure was Odin’s kickass helmet. I’m not really sure how to explain it, but that helmet gives the character/figure a very powerful charisma. The figure have lots of articulation. 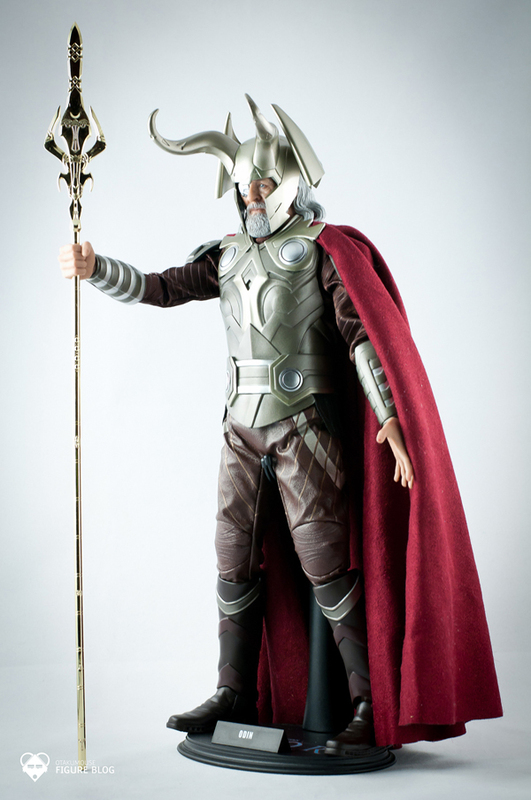 Unlike Thor, the Odin figure can be posed much more easier because the figure’s outfit is much more “loose” compared to Thor’s a bit armor-like tight outfit. 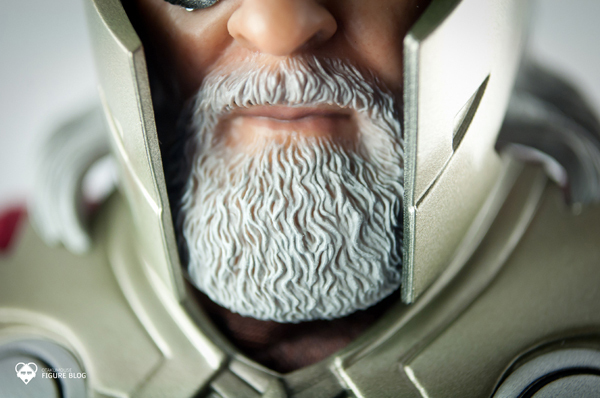 Another factor that made me buy this figure was its perfect head rendition of Anthony Hopkins. I’m really a fan of the actor since silence of the lambs up to his infamous Hannibal Lecter character. The head sculpt was AMAZING! I mean, I’m sure you can see how amazing it is. 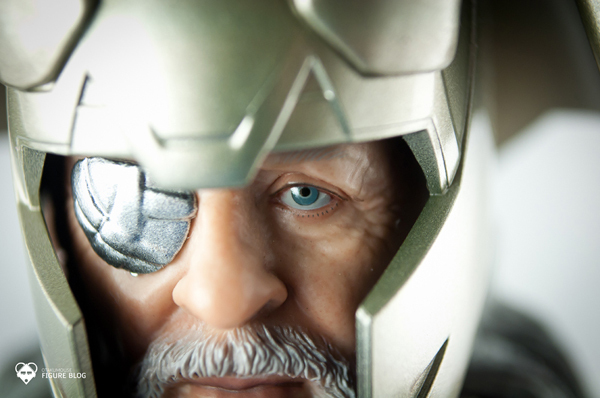 From the wrinkles on his face, to his beard, up to his eye patch. Everything was recreated perfectly into this figure. Shooting the head part of the figure was damn addicting! And you will see that in the images to come. Let’s move on to the lower part of the figure. The figure’s leg outfit or should I say, pants, was somewhat made out of leather. 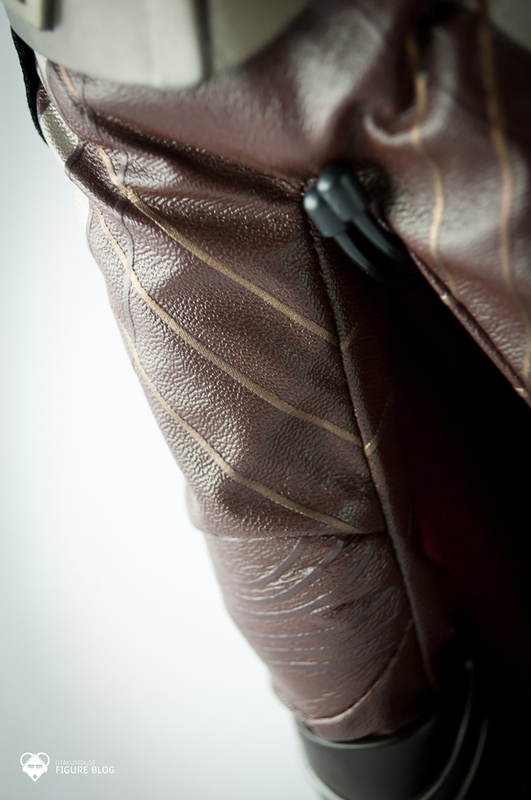 The texture is so leather like and the details were incredible. The decals on the figures outfit was also spot on. I actually did some research online and compared the actual film character to the figure. Hot Toys did a very good job on this one. 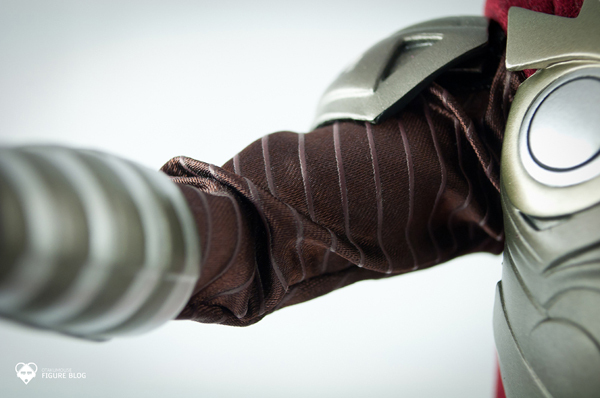 The arm bracers were also sculpted perfectly, though It kinda always falls down whenever you position the figure’s arms upward thus making the ball joints visible. I’m really not a fan of figures with visible ball joints lols. 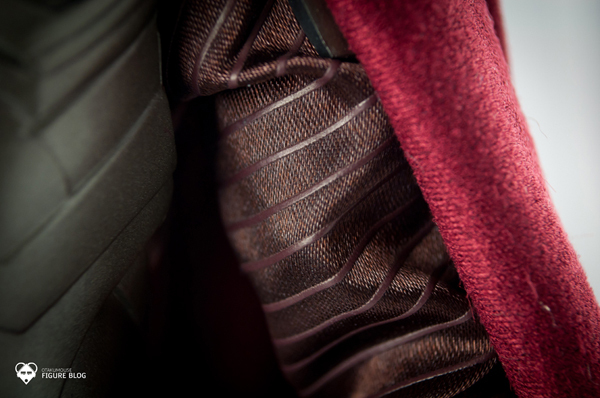 The overall wardrobe of the figure was made out of different kinds of fabric. And yeah, most of them are dust magnets. 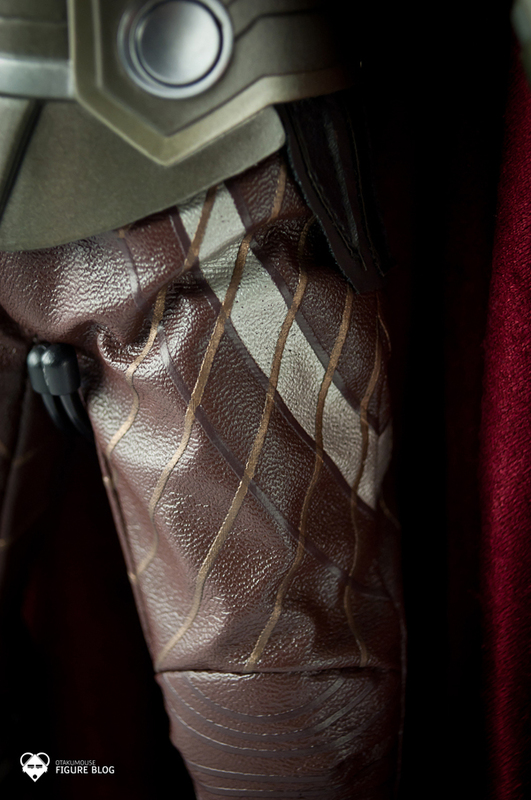 Odin’s cape fabric has a different texture than of Thor. It’s like a carpet texture. Again, a dust magnet. 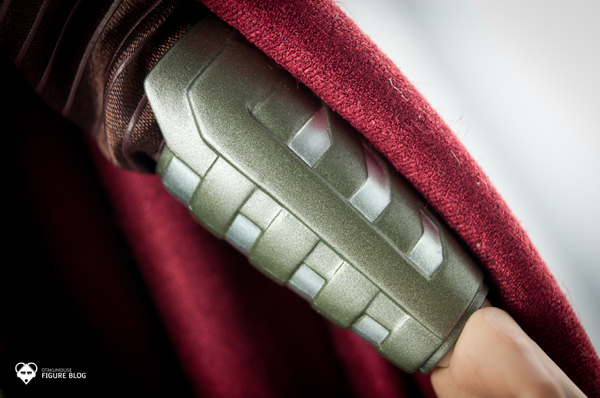 The cape was not designed to rest perfectly on the figure’s back. 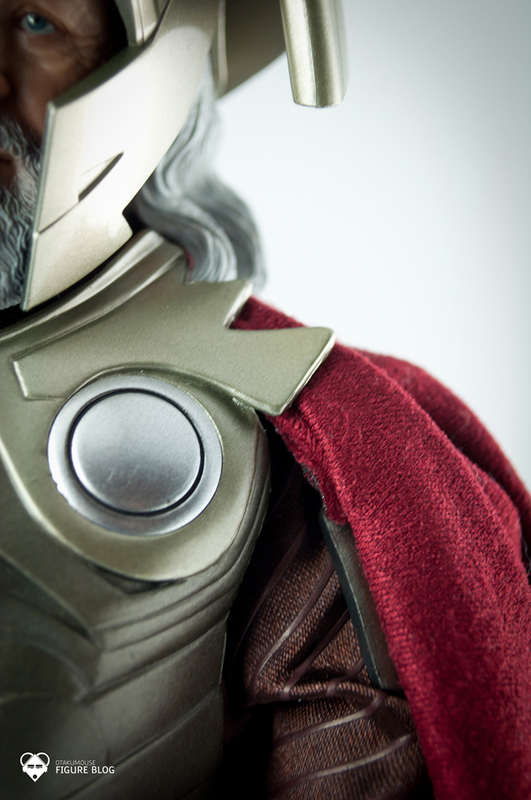 Unlike Thor, Odin’s cape was designed to cover the left side of his body. It’s nice and It gives the figure Its “King-ly” appearance. Decals and prints on the figure’s upper clothing were also perfectly recreated based on the movie. 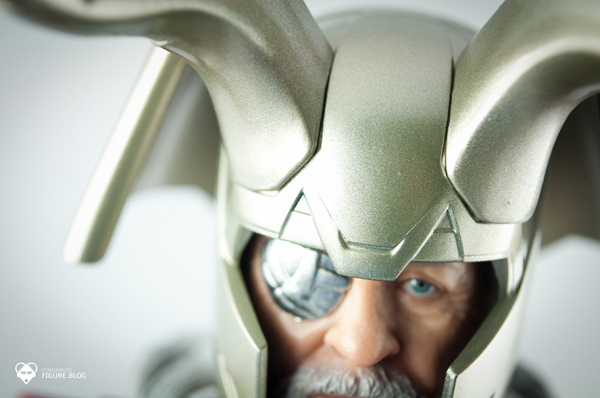 Odin’s almighty beard. Very nice sculpt. One of the essential elements that makes a figure look real is its eyes. The eyes of the figure was sooo human like and It looks sooo real even without those lighting tricks. The details on the eyes were incredible. Paint job of the figure is also great. 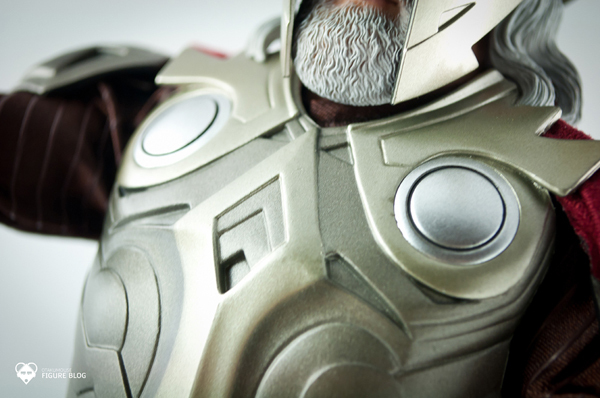 The metallic paint brings Odin’s armor to life. 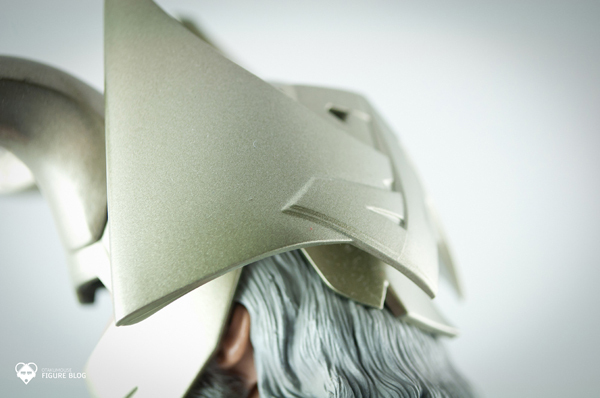 Odin’s helmet is massive. 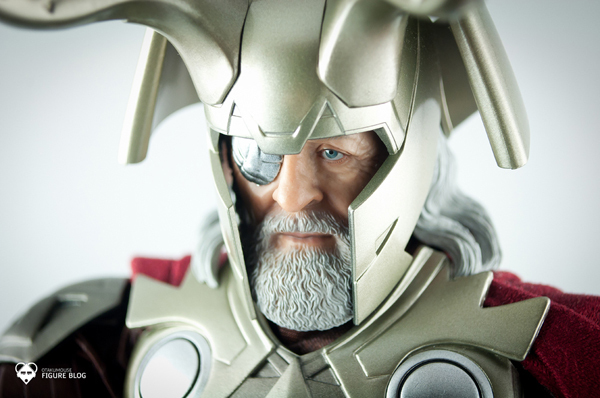 It’s big, bulky, and covers most of Odin’s head. 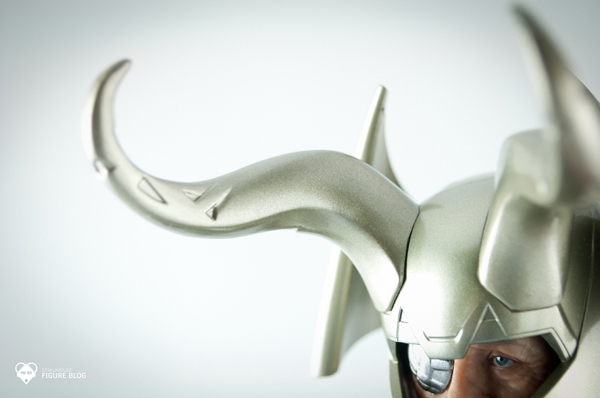 The helmet’s horns were my favorite part because It looks really cool! Is the helmet removable? 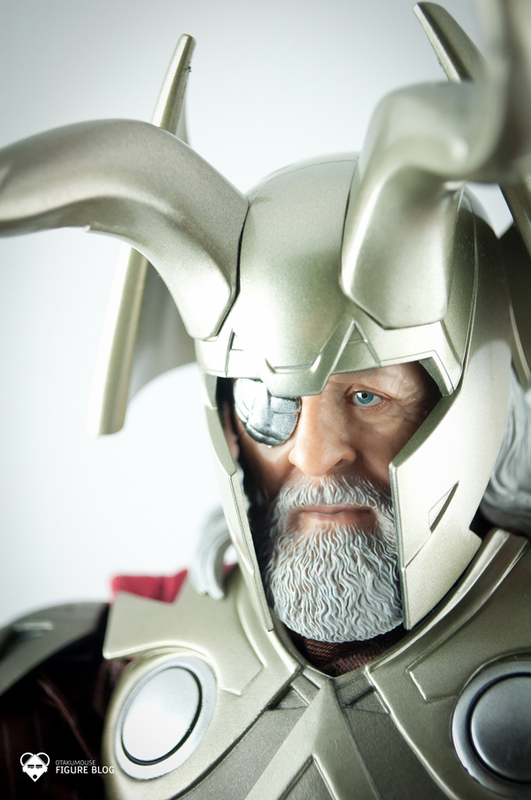 Yes, you can remove the helmet and display Odin with his default hair. 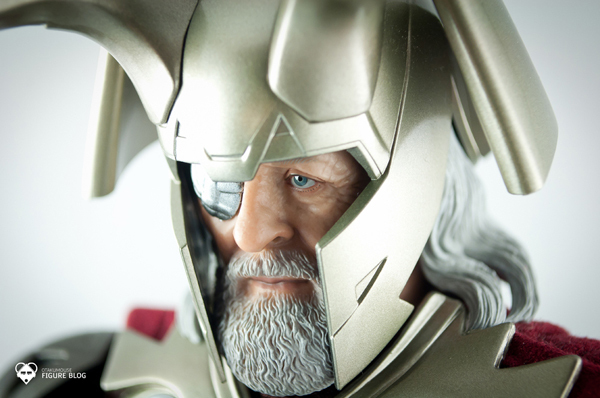 Though I’m sure most of you who have this figure will display Odin with his helmet on. The figure comes with an alternate hair if you want to display the figure with a fatherly aura instead of a battle ready king. The helmet design is absolutely stunning. My favorite part of the figure. 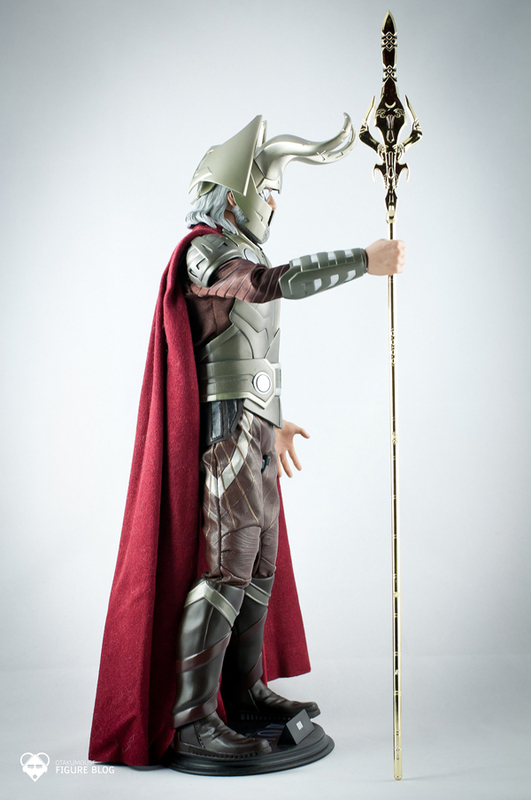 The figure comes with the standard issue Hot Toys figure base which displays the figure/character’s name. Unfortunately, It doesn’t come with an alternate diorama base like the one included in Ironman or Spiderman figures. 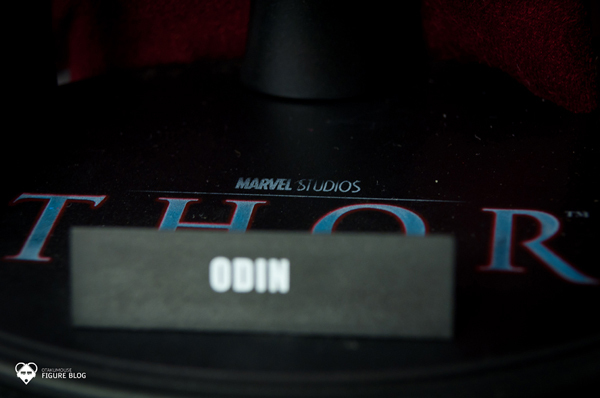 The standard issue base also displays the official logo of the film. 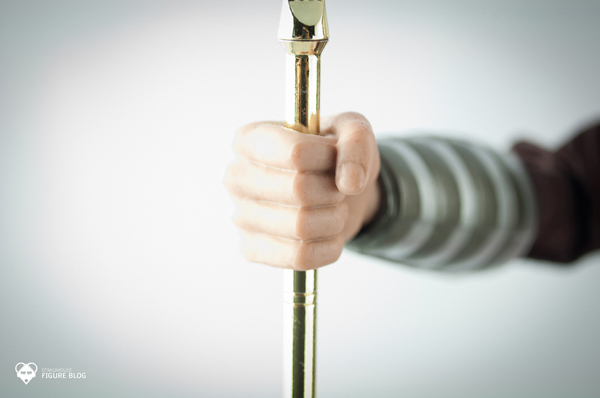 The hand sculpt were also sculpted realistically. This shot was a bit over exposed but If you’ll notice, the details of this particular hand shows signs of Odin’s old age. 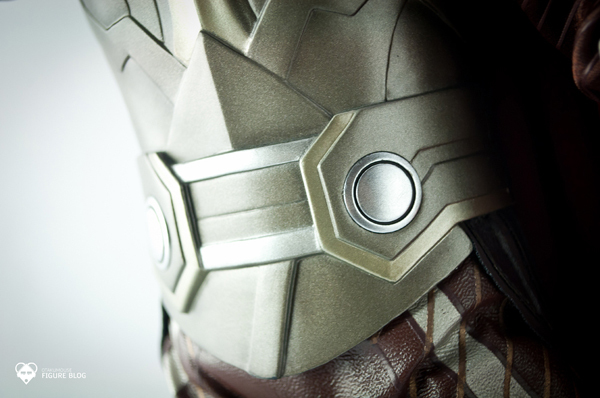 Like son, Odin’s body armor also has the signature circular metal plates that is also present on Thor’s armor. 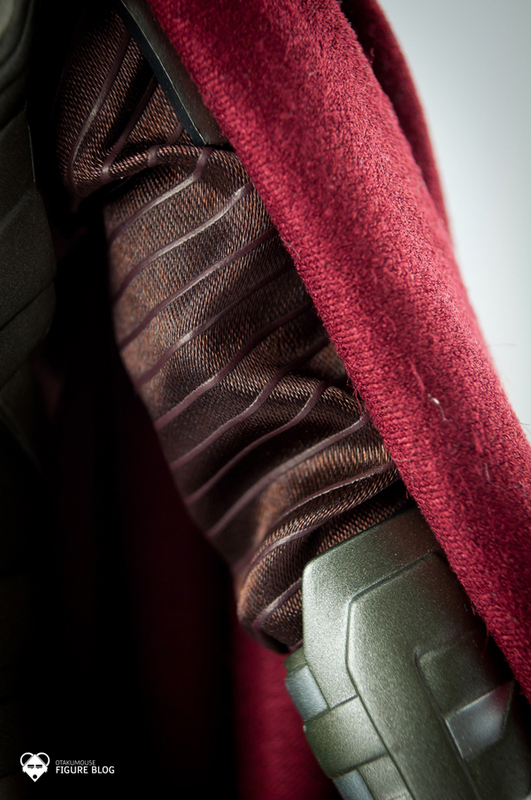 The body armor was also sculpted perfectly similar to the costume in the film. The body armor doesn’t limit the figure’s torso movements which is a good thing imo. 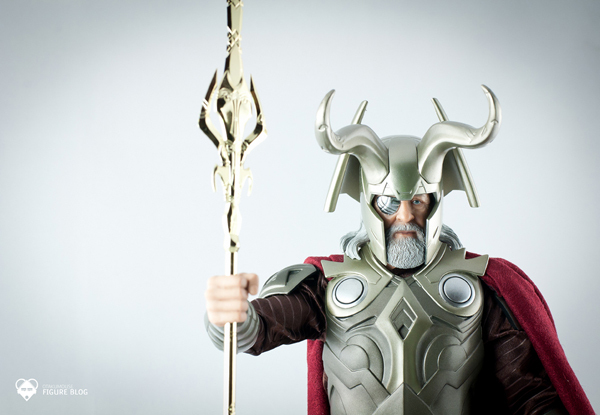 One of my disappointments in this figure was Odin’s staff. 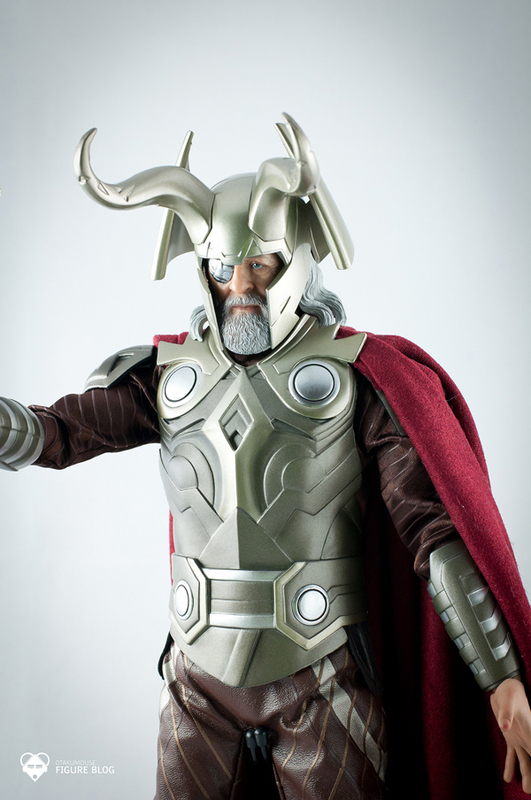 If you checked our previous review of Thor, you will notice that Thor’s Mjolnir was made out of real metal! 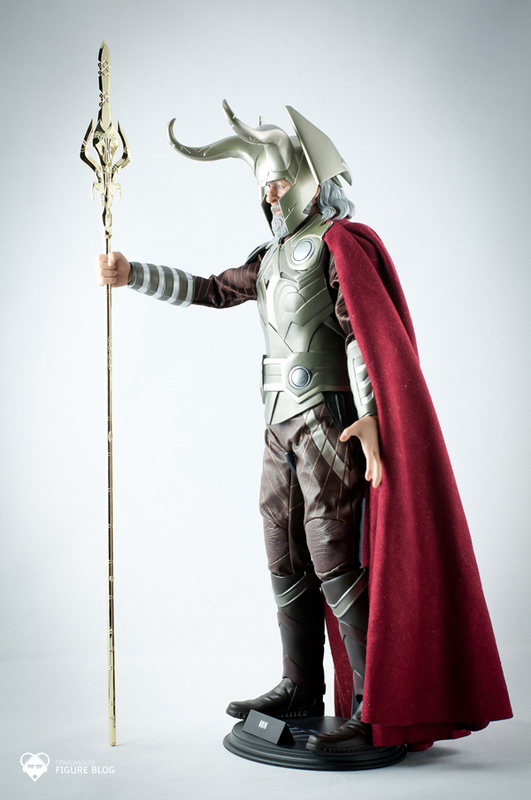 Odin’s staff was made out of plastic ugh! 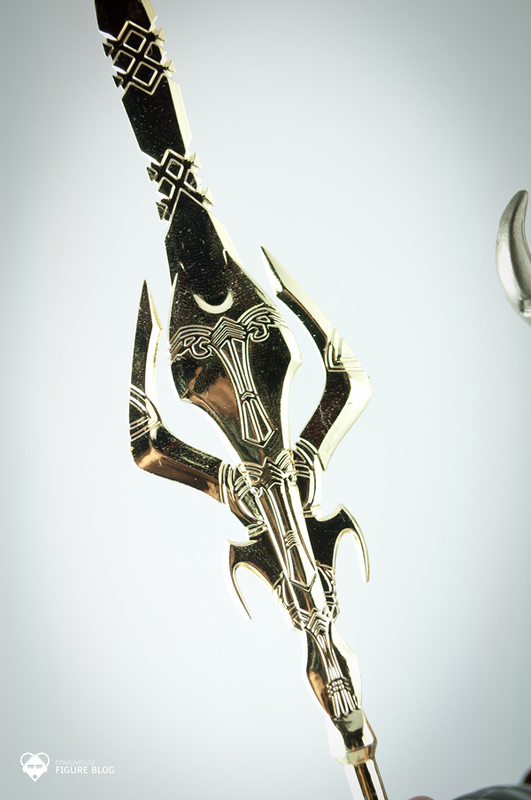 Although the details were extremely good, It would be sooo much better if they used the metal material they used in Thor’s Mjolnir. I was so glad I decided to get this figure. 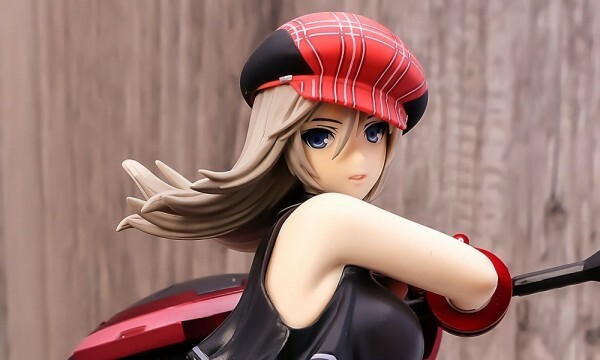 The figure is an absolute stunner in your figure collection. Even my Dad was amazed in the spot on head sculpt resemblance of the figure to Anthony Hopkins. And I’m sure anyone who will see this figure in your display will also be amazed. There’s a bit of a hiccup when It comes to the staff design and material but please don’t let it stop you in getting this figure. It’s a must buy specially if you are a fan of the film and/or Anthony Hopkins. See ya on our next figure review! Have a happy weekends! I love this figure! this is very nice sculpt head. And really good your photos. Thanks review. 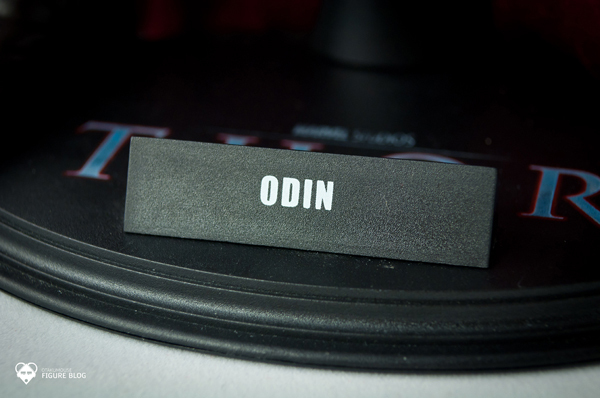 Loved your review of the Odin figure, I’m gonna have to find one myself! 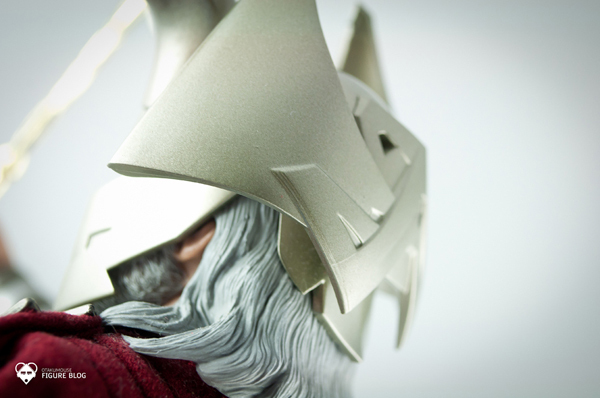 Question:I am planning to cosplay Odin, do you have a picture of the back of his helmet? Thanks again! That would be great, I’d really appreciate it-can’t find loose parts for this anywhere, or I’d just pick up the helmet!